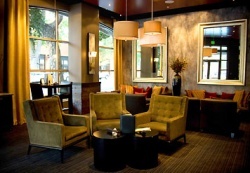 3 Fires Lounge is one of Downtown Sacramento’s premiere casual dining restaurants. Their lounge provides a relaxing, modern, and intimate atmosphere. Whether you are just starting the night out with a quick cocktail and a light appetizer or would like to enjoy a full three course meal, the menu is sure to exceed your expectations. Executive Chef Anthony Dimasuay has handcrafted a menu that showcases California cuisine with inspirations from Europe and Asia. Incorporating fresh local produce, the menu only offers the season’s best. 3 Fires Lounge offers a wide selection of premium cocktails and local California Wines. Some of their featured cocktails include the Fire Starter Martini and the Pomegranate Crush. If you’re in the mood for a simple domestic beer or prefer Johnny Walker Blue Label they have it all. Drink at the bar watching your favorite game on 52" HD TVs. Dine at the high tops along the window overlooking Capitol Park or just relax on the oversized couches. 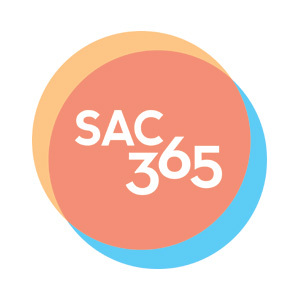 The bar and bistro at 58 Degrees Sacramento provides an upscale, relaxing environment where you can enjoy some of the world’s most interesting food and wine. The food menu is inspired by the seasons and utilizes fresh and local ingredients. To compliment your dining experience you will find over 58 wine selections by the taste or glass. 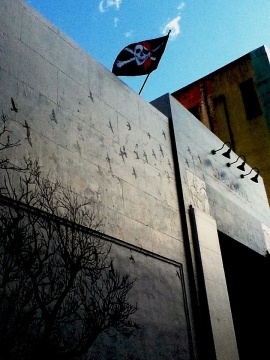 Alley Katz is a Midtown bar that opened in January 2011 and is owned by Geronimo Avelar. It boasts a collection of approximately 200 beers, specializing in craft beers and microbrews, and strives to encompass different types of beers from many different regions. The bar also carries a selection of about 15 wines and serves sandwiches and salads. Are you ready to make real and positive changes to your health and well-being? Consult with the Arden Hills wellness team and begin a journey of transformation with a customized program at Sacramento’s premier wellness resort. Whether you want to shed those extra pounds and gain more vitality, move through a personal challenge, or recuperate from surgery or illness, Arden Hills is the place to reconnect with your health and reunite with peace of mind. Arden Hills offers unlimited possibilities in nutrition, stress management, exercise, and spa treatments. Realize your potential for better health! Serving lunch, dinner, and weekend brunch, Barwest’s menu includes a variety of burgers, wings, sandwiches, salads, and hot dogs. Highlights of the menu include six burger options and over eight flavors of chicken wings. The kitchen sources local produce and high quality meats such as Creekstone all-natural Black Angus Beef. Features of the full bar include fourteen beers on tap, as well as a selection of "alcoholic slushies” and a variety of craft beer (draft and bottled). The interior has a “west coast” vibe that marries design elements from both Northern and Southern California. Think beach bar meets speakeasy; with custom leather high-top booths, bamboo wood bar, and a variety of wall treatments including a tufted red velvet wall, crocodile and exposed brick. A large glass garage door opens up to the patio, offering a view of bustling J Street and Marshall Park. The booths and tables are all high-top seating, designed to foster a social environment. Other features include fifteen flat-screens (with DirecTV and NFL Ticket) and a digital jukebox. Beach Hut Deli’s sandwiches are nothing like you have ever experienced. Every ingredient is top quality and completely fresh. Many sandwiches contain cream cheese, fresh sliced avocados, and other delicious combinations. You will be amazed after you experience one of these delectable sandwiches. 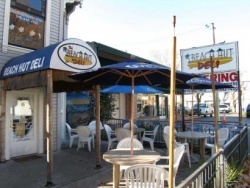 Additionally, Beach Hut Deli gives its customers a fun, relaxing home-away-from-home environment where they can hang out, listen to great music, drink Eye of the Hawk, watch local sporting events, socialize, and have camaraderie. Enjoy comforting, provocative food under beautiful, arched Mediteranean ceilings at the Bella Bru Cafe in Natomas. The menus change seasonally and there is a full wine list and full bar with specialty drinks. Bella Bru Natomas is conveniently located near Arco Arena–closing hours vary when the Kings play in town. Made from only the freshest ingredients, every meal is carefully fashioned to excite the senses. Authentic Italian regional recipes fill the menu and the refined but friendly ambiance will make you feel instantly at home. Big Spoon Yogurt has improved the way you enjoy Frozen Yogurt. It’s fun, it’s creative, it’s delicious. At Big Spoon Yogurt you get to create your very own frozen yogurt treat by choosing from over 75 delicious toppings at the locally world famous Big Spoon Topping Bar. If you can imagine it, Big Spoon has it. And best of all, you pay by the ounce, so you can pile on as little or as much as you want of whatever toppings you wish. At Big Spoon Yogurt, nobody decides what’s on your spoon but you! Check out rotating frozen yogurt flavors and Big Spoon Topping Bar to start planning your very own frozen yogurt concoction. 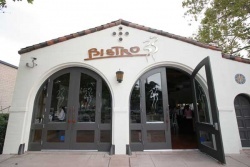 Truly a destination for everyone, Bistro 33 Davis is a cultural and community center that infuses exquisite Pacific Northwest-inspired cuisine with a sense of history. Their delicate remodel of the Historic City Hall building in downtown Davis allows them to provide Chef Fred’s award-winning fare in a variety of settings. Enjoy famous panini on the gorgeous three-tiered patio or a wood-fired pizza in the full-service bar, or relax with a nice Oregon Pinot Noir next to the “burning rock” fireplace. Bistro 33 Davis, however, is not only a restaurant. The Historic City Hall building has also been renovated into a state-of-the-art event center that can be used for birthday parties, small conferences, mid-sized cocktail parties and dinners, even wedding ceremonies with several hundreds of people! 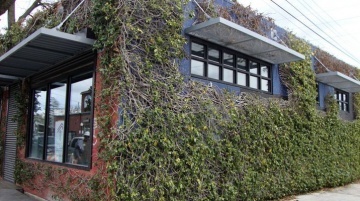 Blackbird Kitchen + Bar is a new American and seafood restaurant located in Downtown Sacramento. Block Butcher Bar is a boutique salumi, spirits and wine bar. The menu features house-cured charcuterie, fine artisanal cheeses and seasonal bites. 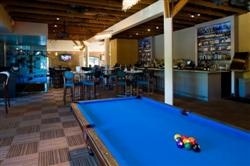 With a relaxed friendly atmosphere, full bar, pool tables, and lounge seating, Blue Cue is a great Sacramento bar for dining and entertainment. Come out and enjoy one of their weekly food and drink specials. Upscale without the attitude. Quality without the price. A relaxing atmosphere that doesn’t forget where the food comes from. A restaurant that highlights the people that make your dining experience possible. Blue Prynt serves French American Cuisine. Anywhere from a burger and fries to Chicken Cordon Bleu. Full bar with great appetizers and full drink menu with affordable drink specials. There is a lounge with three flatscreens, couches, tables, and free Wi-Fi to make you feel at home. 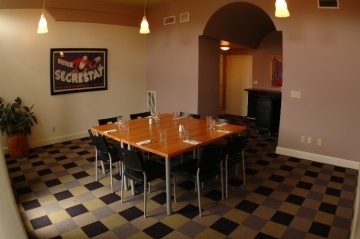 There are also two banquet rooms available for any type of event you can dream up. Blue Prynt opened in 2011 in the space formerly occupied by Sofia Restaurant. Trisha Rhomberg and Olivia Coelho opened their retail clothing store, Bows & Arrows, on L street in Midtown, Sacramento, in November 2007. They have dedicated themselves to providing the community with fine vintage goods and also started a line of handmade jewelry and clothing, Miss Chief of California, which they make themselves and sell exclusively. Bows & Arrows is a mixed-use space housing a vintage and handmade clothing boutique, local and emerging art gallery, beer and wine bar, Fat Face Cafe, coffee, a beautiful back patio, and fun live music shows three to five times a month. 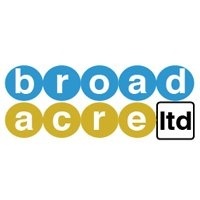 Broadacre Coffee sprung forth from the minds of four handsome baristas in the fall of 2011. With a collective love for quality beverages, unmatched hospitality, and a dash of style, they are out to push the boundaries of specialty coffee and cafe culture. A simple menu of hearty portions is the perfect complement to any drink. 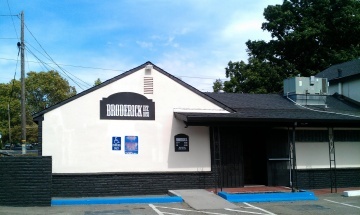 From signature burgers and sandwiches, to steaks and salads, the fare at Broderick will keep the working class heroes satisfied as well as keep the professionals coming back for a great bite in the coolest place west of the Sacramento River. In addition, Broderick will have its own food truck/catering truck that will serve as extra kitchen space during events and marketing during other regional events. Broderick also hosts music events, featuring some of the region’s greatest musicians. 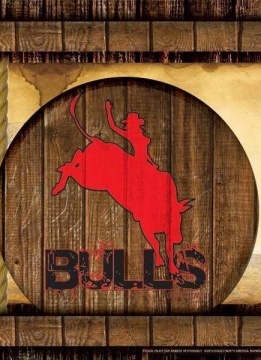 Located in the heart of Downtown Sacramento, the concept of a mechanical bull bar with great drinks and awesome food may, at first glance, seem unlikely. It is, however, a welcome retreat for those who enjoy the exciting elements of plasma screen TVs, bikini bull riding contests, beer pong tables, ping pong tables, out of control punching games that will put your man(or woman)hood to the test, and to add on top of all that: a bucking mechanical bull! Café Au Lait specializes in gourmet sandwiches, homemade soups, made to order salads, coffee, espresso, and friendly service. Inspired by the European tradition of cafe dining, Cafe Bernardo is a comfortable place to go anytime for fresh, high quality food at a reasonable price. With two locations in midtown Sacramento and one in Davis, it’s become a staple in the Sacramento dining scene. Cafe Bernardo is guided by the same principles of service and food preparation as the Paragary Restaurant Group dinner houses, but in a more relaxed casual atmosphere. Cafe Bernardo – Midtown, is located in conjunction to Paragary’s Monkey Bar. Cafeteria 15L is Sacramento’s comfortable and eclectic urban restaurant offering American comfort cuisine with a classic flair. Designed by the designers of The Park and MiX Downtown, Cafeteria 15L features two outdoor patios. The use of reclaimed woods, industrial light fixtures, and an array of mixed and matched chairs create and atmosphere both whimsical and cozy. Traditional dishes are created with a twist to evoke the nostalgia and comfort of a home-cooked meal. Open for lunches, dinners, and late night weekend dining. Cafeteria 15L’s menu items feature farm to table fresh homespun creations, including "Blue Plate Specials." Cal Expo is home to the California State Fair, Cal Expo Horse Racing, Raging Waters, and Cal Expo RV Park. Whether you’re staging an upscale fete or trade show of epic proportions, one of Cal Expo’s 18 versatile venues is sure to be a perfect fit. With more than 15,000 lighted parking spaces and a centralized location, it’s perfectly convenient, too. Cal Expo encompasses the following venues: Buildings A, B, C, and D; The Pavilion; Expo Center (eight buildings linked together by a common outdoor brick plaza); The Cove; Lot 26; Miller Lite Grandstand/Sports & Wagering Center (in Lot D). See a Grounds Map. 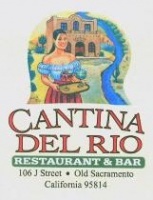 Cantina Del Rio is an establishment based on tradition with a twist! Founded in August 2005, Cantina Del Rio takes pride in offering authentic Mexican cuisine created directly from recipes of old Mexico. Consistent with the practices of great haciendas and great grandmas alike, traditional dishes are made fresh daily using only the finest of ingredients. Complement your meal with an Original Margarita or Cerveza de Mexico, choose from over 50 different tequilas, or just make it a fiesta and try one of each! The bartenders are always available to make suggestions or even design a drink specifically for you. Capitol Garage is one of Downtown Sacramento’s few mainstays. While Downtown has watched restaurants come and go as it has evolved and grown into a more popular scene in Sacramento, Capitol Garage has successfully managed to stay in touch with their customer base for many years. It is not unusual to see Capitol Garage buzzing with hungry customers lured by the enticing smells pouring out of their kitchen and into the streets of downtown, or the club packed with a line out the door in the evenings with people waiting to see the latest live performance.